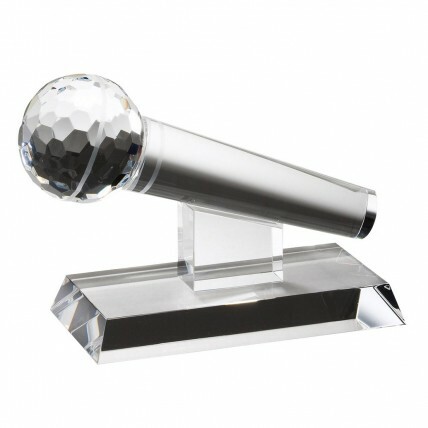 Our Crystal Microphone Trophy makes the ultimate choir award or karaoke prize! At 4.5" tall, this optical crystal music trophy features light catching optic cuts that make it shimmer on any desk or shelf. This beautiful music award comes with professional etching on the base and a gift box for presentation. Award our impressive microphone trophy to any deserving musician!